17-18 November 2010 in Moscow exhibition center "InfoSpace" was the first international festival of innovative technologies in architecture and construction of "Green Project 2010" organized by the Union of Architects of Russia and the Publishing House "ARD Centre. Implementation of standards of "green building" in the world and national practice - key to sustainable development of our planet. Architecture in this process belongs to the leading role. Architects, skillfully combining the principles of ecological and aesthetic qualities with innovative technologies, create a new architecture, based on the ideology of respect for the environment and modern ideas of comfort. Skillful integration of innovative developments in contemporary architectural objects - one of the most urgent tasks, which will soon be addressed domestic architectural community towards the realization of the first Russian "green projects". Main objective of the festival "Green Project" - to encourage professional architects, designers and professionals who develop innovative projects, construction companies and firms, developers, investing and carrying out ecological construction in our country. 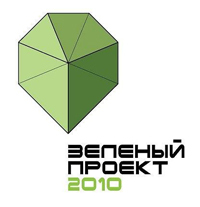 The festival organizers have aimed to introduce the widest possible range of professionals with international experience in environmental design and construction, promote the advancement of modern innovative technologies and materials in the practice of Russian construction, promotion of the ideology of "green building" in Russia, to begin the formation of ecological consciousness among architects, builders, investors and customers. 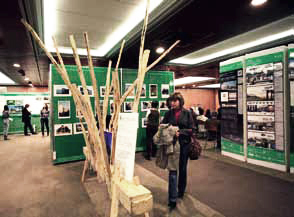 The festival was attended by domestic and foreign companies producing innovative, environmentally friendly building and decoration materials, modern technical equipment, using energy saving technologies, architectural and engineering firms, designing energy-efficient buildings and applying innovative materials, technologies and equipment in Russia and abroad, investment and construction companies, focused on the use of advanced and environmentally friendly construction methods, materials and technologies. As part of the festival program were: review-competition "Green Architecture - Projects and Construction", the exhibition "Innovative materials and technologies for green building," photo contest "Eco House". 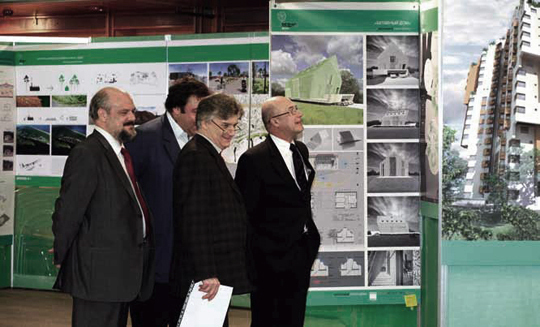 At the show-contest of architectural works was presented 90 papers. The jury, chaired by Vice-President of ATS Victor Churilova included: Totan Kuzembaev, Vladimir Plotkin, Elena Bazhenov, Sergey Krivozertsev, Diana Leikin, Nikolai Pavlov, Edward Tovmasyan. Business part of the program of the Conference of RSABC "Sustainable position," master classes with participation of Russian and foreign architects and designers, seminars on latest technologies for green building, "round tables" with participation of ecologists, lawyers, economists, representatives of the media. Winners of Contest of the First International Festival of innovative technologies in architecture and construction of "Green Project 2010"
Residential house in the village Uskov, Moscow Region. The project of reconstruction of the historical object - the cultural heritage of regional importance water tower and adjusting it for the public chamber concert and exhibition center "Green Wave"
The project architectural and planning concepts of the resort "Golden Ring"
The project "Sustainable development of agro-industrial city Eleva in Denmark"